Radon is a naturally occurring gas that is a product of decomposing Uranium in the earth. Through the decomposition process, radon gas seeps into the Earth’s soil, then providing the opportunity to build up levels and inhabit your home. Radon Gas is found in all 50 states of the U.S. and it’s presence in homes can certainly raise serious health concerns. Radon is not a sudden event or “accident” therefore your homeowner’s policy will most likely not cover the cost of mitigation or health related effects. Radon has no color, no odor and is invisible to all of us. Testing for radon gas is strongly recommended for those involved in a real estate transaction. Radon comes from many sources, including our own outdoor air. The dangers increase when we expose ourselves long term to concentrated amounts, such as our indoor air of our homes. Because it is not evident whether or not it is present, radon testing should be conducted. No one gets sick quickly being exposed to radon gas, it’s very different than carbon monoxide. It can however provide ample opportunity for lung cancer. Currently in the U.S. 21,000-23,000 people annually, who are “never-smokers” will have their lives taken by radon induced lung cancer. **Be sure and test your home. Lenders and Banks most times make up at least 80% of the homes value in cash therefore will require homeowners insurance to fund the loan. Homeowners is there to protect you from unexpected loss or damage of your property. Loss may occur as a natural event such as tornado, fire hazard, vandalism, theft and other covered events. It will also cover you in the event someone is hurt at your home or on your property. 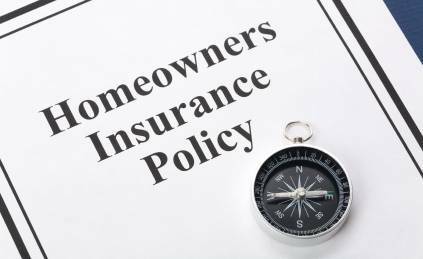 The insurance does not cover the cost of radon mitigation. Every home when tested will report some level of radon gas. As a matter of fact, there will not/should not ever be a reading of “0” pCi/l and if there is….something went wrong with the test. Outdoor natural occurring radon levels are around .3 pCi/l and the EPA will recommend mitigations for any home that tests over 2.0 pCi/l. **This is for homes not involved in real estate transactions, currently the disclosure level for radon in real estate is 4.0 pCi/l. Testing comes in many convenient options. There are charcoal canister tests available as well as electronic monitors that run continuously in your home and of course professional testing with highly calibrated equipment and lots of data. If you should test the home yourself as a homeowner, please be sure and adhere to the strict instructions to prevent an inaccurate reading. Radon mitigation is a process in which a combination of suction point(s), pipework, radon fan and caulk sealing is installed to reduce indoor radon levels. The type of process most common in the Midwest is called Sub Slab Depressurization. It’s a fancy title that basically mean, to create more negative pressure under your foundation, than already exists in your house. Thus the result is the movement of the gas to an exhaust point and significant reduction levels. In Illinois, radon is a licensed trade and you can find a local mitigation professional on the State of Illinois website. Most systems are installed in as little as one day and begin to work immediately. You must also retest your home after the installation of the system – this will provide you with the new “norm” of reading in your home. The average cost of a radon mitigation install will range from $1000 – $2500. Some systems depending on design and need of the home may fall below or above the state range. An onsite estimate and review of your home is highly recommended. Special thanks to the IEMA and UALC for providing some of the content above.